Located approximately 20 minutes drive from Selcuk and Ephesus, Sirince village was once reportedly called Cirkince (ugly) by locals who didn’t want to share their beautiful village with outsiders. It sits on the top of a mountain and continues to delight visitors today with its charm and beauty. It is not exactly clear how Sirince came to be settled, however a popular theory is that a group of people relocated here after the fall of Ephesus. 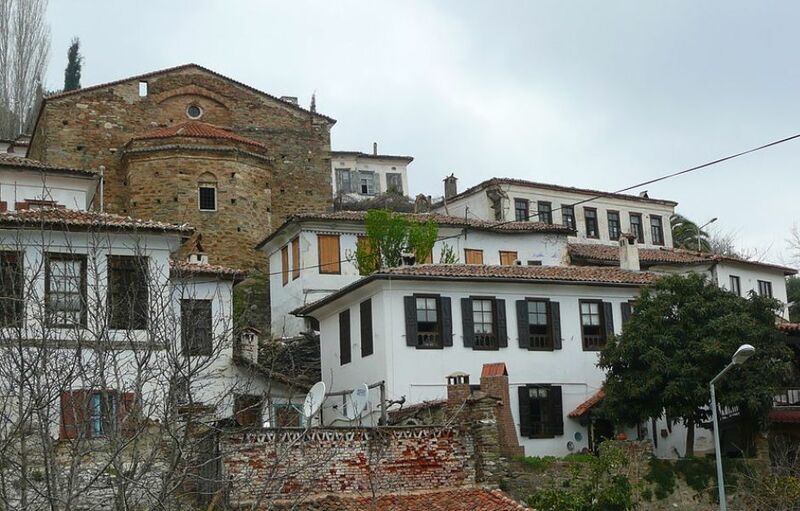 Famous for its fruit wineries and handicrafts, Sirince was once a Greek village, prior to the population exchange between Greece and Turkey in the 1920s. Although the village is now inhabited by Turkish people, and the interiors of the building are decorated in Turkish style, the outsides of the buildings have been preserved in Greek style. The village was settled in the 15th century, however most of what remains in the village today dates back to the 19th century. Visitors to Sirince can see a beautifully restored Orthodox church, taste some local wine, and explore the cobblestoned streets where you will see the local women selling handicrafts and products made from local olive oil. This is a great place to spend half a day, and can be visited as a half day tour, or as part of an Ephesus tour.